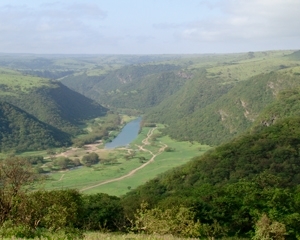 “Wadi Darbat” is located in Dhofar Governorate. 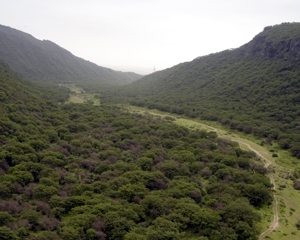 The wadi is the most beautiful and spectacular place in Salalah city for the mountain and spring lovers. The place is fully packed with tourists in the autumn season. This wadi carves its way through hills and highlands until it reaches Khawr Ruri, where it empties into the Arabian Gulf. During autumn, the wadi’s water descending from the mountains forms magnificent waterfalls cascading from a height of up to 30 meters (100 feet). “Wadi Darbat” is distinguished by its virgin nature and thick botanical cover, in addition to a natural spring and a number of caves. The wadi’s water is the source of the water filling Teeq Cave’s cells. 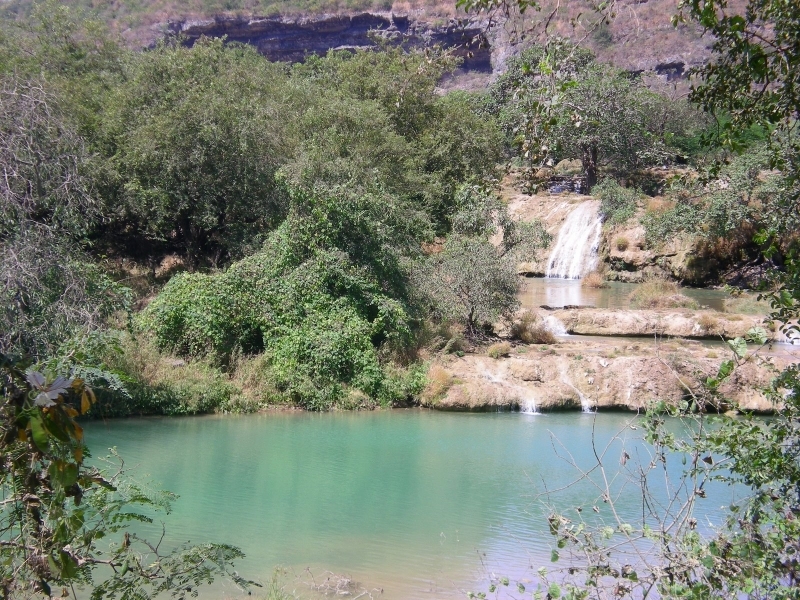 “Wadi Darbat” is located only a few kilometers behind Taqa, a beach city in Dofar Region. It is located on the left side on the road to Tawi Attir. From Taqa, there are a road sign to “Wadi Darbat”. Follow the tarmac road to the end of the valley, but be warned that you cannot drive freely through the entire valley. The place offers everything that is needed for a memorable family day. You can enjoy with boat riding, Feeding fishes in the lake and you can easily place the BBQ grill, which is no other better place to have barbecue in the region other than “Wadi Darbat”. There are a safety area is exclusively for kids for their safety, and several restaurants and huts that sell food, sweet corns, pop corns and fruits. You can also bring eatable items from any other market on the way.